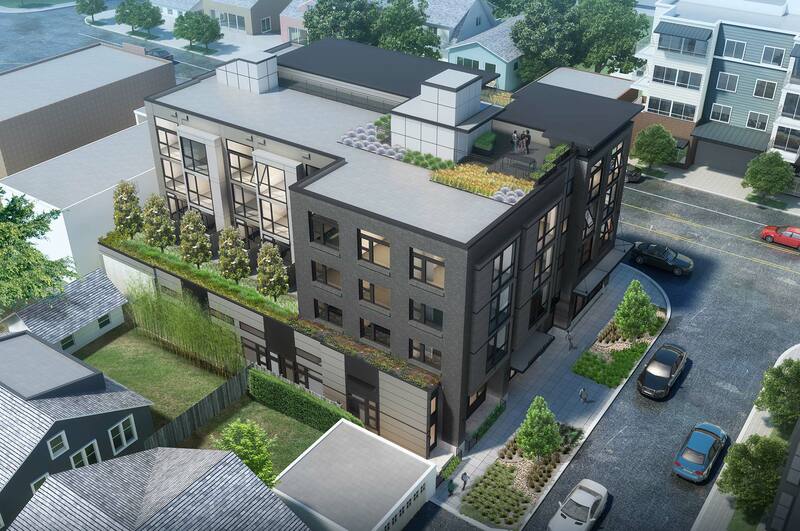 Skidmore Janette is the architecture firm behind the design of the new Phinney Flats building going in on the corner of N 68th Street and Greenwood Avenue N. There will be 57 units above a 3,500 SF restaurant and other ground floor retail. These two beautiful renderings were done by Skidmore Janette to represent the mixed use project that will top out at five stories. Many of you may remember the controversy when the owner applied for a land use permit and residents of Phinney Ridge found out there would be no parking spots for future residents and tenants (reference this article here on livablephinney.com). The development was allowed to continue without providing parking, but not without a valient effort by the neighbors who raised important push back on a lack of understanding between what it means to be ‘near transit’ and actually reducing the number of cars people own, proximity to transit does not mean people give up their cars. And when people do give up their cars, the bus service does not meet the demand well in most areas of Seattle. 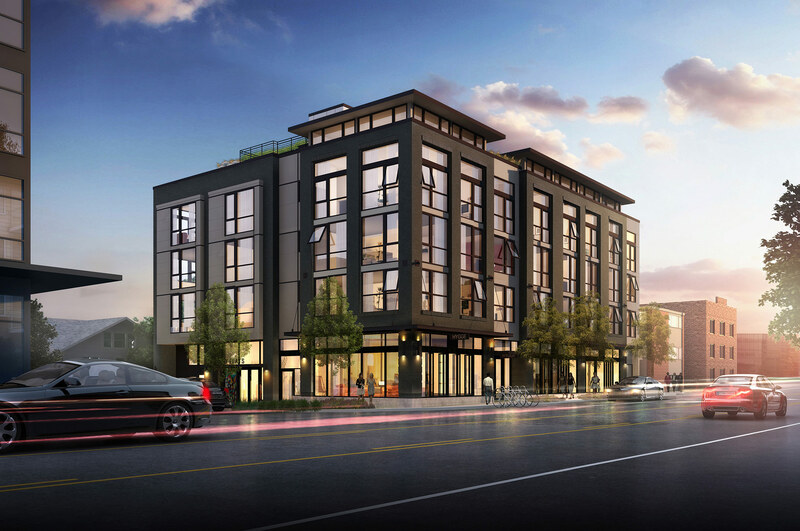 The financial party listed is Tyler Carr, who is the developer behind the 600 SF micro apartment called Footprint 1806 in Capitol Hill. Tyler partners with Kelton Johnson as Johnson + Carr and is also the group behind a project in Capitol Hill with a restaurant being funded by Neumos family and John and Ann Richards of KEXP. This project is also a Skidmore Janette design. Here is a list of their projects in Seattle. I stopped by the site last week to see progress on the build-out, the contractor is W.G. Clark Construction.